Caster Semenya’s closest rival also has a condition that gives her high levels of naturally occurring testosterone and would be affected if track and field’s governing body implements a contentious rule to control hormone levels. Francine Niyonsaba of Burundi, who won silver medals behind Semenya in the 800 meters at the 2016 Olympics and 2017 world championships, said in an interview with the Olympic Channel that she has hyperandrogenism, the first time she’s spoken about it publicly. 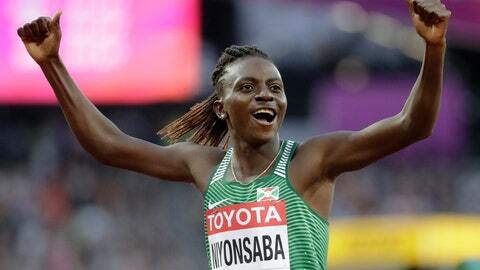 “I know people talk, talk, talk about me,” Niyonsaba said. “You can’t stop people talking. I like to hear people talking. That is motivation. Semenya and Niyonsaba finishing 1-2 in the 800 at the last two major meets appears to strengthen the IAAF’s stance that hyperandrogenism gives runners a significant and unfair advantage. Niyonsaba rejected that.